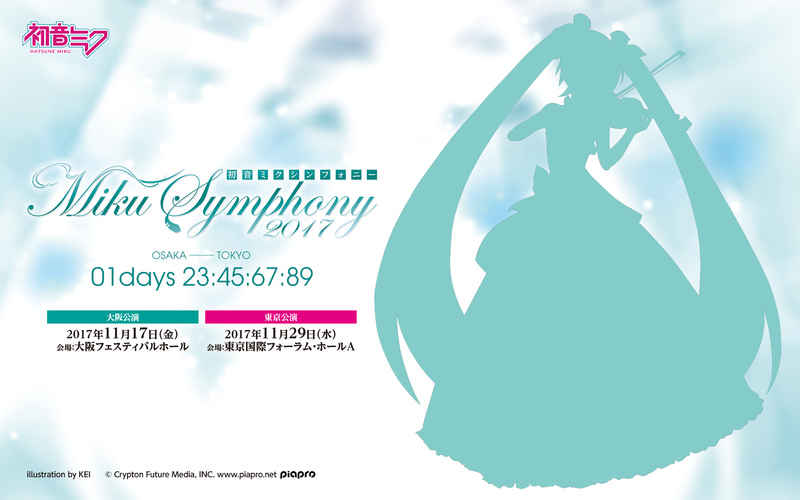 Countdown Timer Appears on “Hatsune Miku Symphony” Website—Possible Miku 10th Anniversary Announcement? It was announced earlier this year that Hatsune Miku’s full orchestra concert “Miku Symphony” would make a comeback this year, with the concert returning to Tokyo International Forum Hall A once more on November 29th. It was also unveiled that the show would make its first appearance in Osaka at Osaka Festival Hall on November 17th. However, today, a mysterious countdown timer began ticking over on the official Hatsune Miku Symphony website. 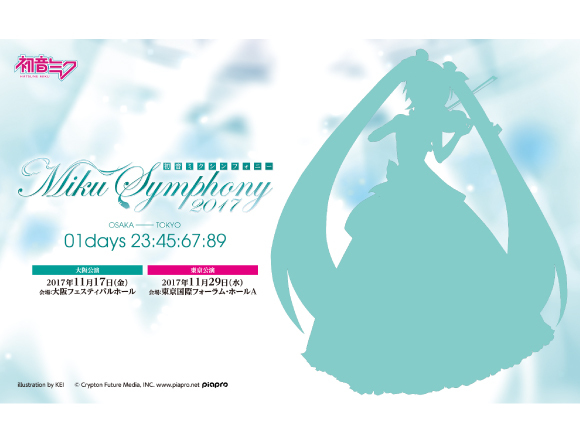 The website showcases a new visual of Miku, as well as a countdown timer that is set to end at 00:00 on August 31st—the same date as Miku’s birthday, when Crypton released her back in 2007 marking 10 years since she was born. It has yet to be announced what exactly this countdown will mean and what kind of news will be released – we will have to wait until the end of the month to find out!